Jodi Solomon may barely match the height of the boxers she trains, yet that doesn’t mean the boxing manager can’t put up a good fight. In fact, her journey with the sport, as both a trainer and manager, consisted of a few draining battles. As boxing has a lot to do with rhythm and movement, Jodi’s background as a dancer made her the perfect candidate to take up the sport. Unfortunately, while she had the passion, drive and physical ability to adopt the sport, the lack of female boxers during that time led to her putting her dreams on hold. However, a chance meeting with boxing world champion Cassius Baloyi revealed that, while she couldn’t become a professional boxer, she didn’t have to let her passion die. In fact, after suggesting that she live out her passion for boxing through managing, Baloyi introduced Jodi to her first – and probably most successful – client, Issac Chilemba. 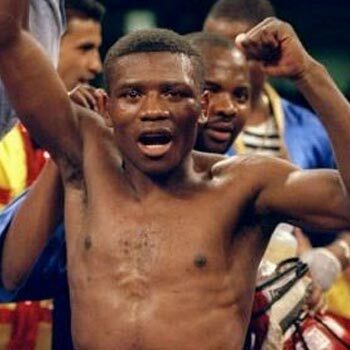 Under the tutelage of Jodi, Issac Chilemba went on to win 5 titles locally before Jodi took him to the United States and relentlessly worked to get him signed by DiBella Entertainment. Also, Chilemba has been ranked No.1 in the world a total of three times. Additionally, it is through working with Issac that Jodi became good friends with boxing legend Roy Jones Jr.
“I was the first female manager in South Africa and I don’t know how many trainers they actually have. I don’t know if I’m not the first female trainer,” she says with a laugh. Despite Jodi’s long list of accolades, including being voted Boxing South Africa’s manager of the year in 2010, she admits that she still deals with naysayers who doubt the efficiency of a woman in the boxing world. So how does she see the future of women entering male-dominated areas? And her secret to success?